Moving to Oman - Compare International Movers & Save up to 70% ! One of the most stressful times in a person’s life is reportedly the arrival of a new child or making a move, so we are pleased to offer assistance in reducing your stress levels if you are planning an international move. Helping you with the arrival of a baby is another story! An international move to Oman is also a pretty exciting time, so make the most of your adventure and let moving professionals help you with your move. Intlmovers is a handy online tool that helps you find the right international moving company in just a couple of clicks. By selecting your international departure and arrival location from the drop down menu below, we automatically match your selection with the moving companies that specialize in those international moving routes. 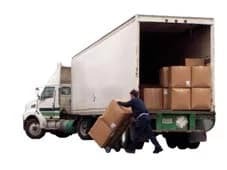 Your request is forwarded to up to six moving companies at once, so you can get a number of independent and customized quote responses, to allow you to easily compare your options and costs. Of course, getting six quotes in response to one submission is a great time saving option for your international move to Oman. After you have received the responses directly from the moving companies, you can then take some time out to review their offers. Be sure to compare the offer as a whole, rather than simply skimming to the bottom of the page and the price. Services that are included in your quote may differentiate different companies, so make a fair evaluation to get the best value for your budget, rather than just the cheapest price. Complete the short request form and receive quotes directly for international moves to Oman. International moving companies you find here have experience with moves to Oman. Oman is located on the south eastern tip of the Arabian Peninsula and covers an area of nearly 310 thousand square kilometers. The official language of the county is Arabic. In relation to other Arab nations, Oman is considered to be one of the most developed and stable countries. The population of the country is around 2.8 million people, although around 800,000 of those are non-nationals. Located on the south east coast, the capital city of Oman is Muscat, which is also the largest city in the country and has a population around three quarters of a million people. Also located on the south east coastal area is the second largest city of Seeb (As Sib al Jadidah) with a population of around a quarter of a million people. Oman is predominantly a vast desert plain, although there is a mountainous region in the north and along the south east coast. The country experiences hot and dry weather all year around, with averages between 40 and 50 degrees Celsius in the summer months, although it falls to more bearable 30 degrees Celsius during the winter months of January. The country receives negligible rainfall, with February traditionally being the wettest month and the mountain areas receiving the bulk of what limited rain falls. The level of experience and expertise offered by the international moving companies that you find with the Intlmovers service is second to none. Their level of expert assistance and professional experience is your guarantee your personal or business international move to Oman will be made with the best techniques and specialized services offered in the shipping and logistics industry. Rest easy with the services provided from Intlmovers partners. You can receive up to six independent quotes in order to make a more informed decision about your international moving options for your Oman move. Once you have taken some time to consider your options, you can then start making arrangements for your move. The quotes that are provided from the Intlmovers moving companies are provided to you completely without any obligation. You should only accept a quote if you are happy that it meets your needs and requirements.